• The fourth season of the award-winning show will screen in October 2018. 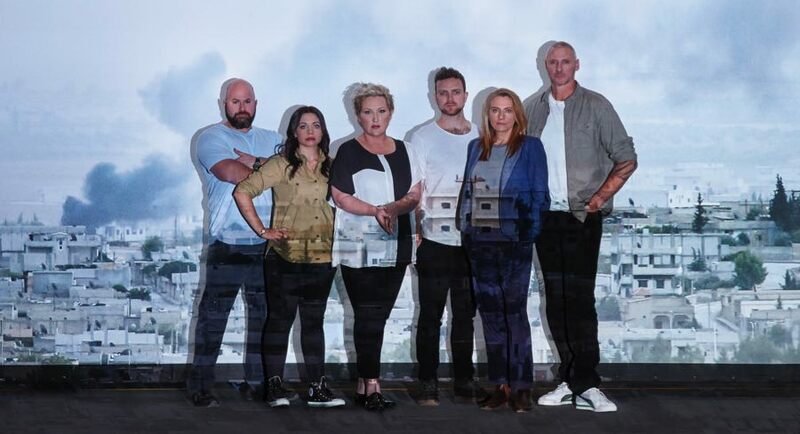 Well-known media personalities such as comedian Meshel Laurie, former AFL player and breakfast radio host Spida Everitt, and writer Gretel Killeen have been confirmed for the show. Everyday Australians including 41-year-old Steve from Adelaide, 29-year-old Gareth from Bathurst and 24-year-old Dannii from Townsville will join the celebrities on the program. Details on more participants for the show and locations at which they will be sent are yet to be announced. Over three nights from October 2 to 4, viewers will follow events live from conflict hotspots and frontlines across multiple continents, witnessing the complexity of mass human migration and its ripple effects in 2018. Journalist Ray Martin and SBS World News’s Janice Petersen will be stationed in the SBS studio in Sydney. In its lifetime Go Back To Where You Came From has collected two Logie Awards, an AACTA Award, an International Emmy, two Rose d’Or awards, and a UN Peace Award. SBS director of television and online content Marshall Heald said: “Using state of the art technology to broadcast from the heart of the global refugee crisis, Go Back to Where You Came From Live is one of the most ambitious television events in Australian broadcasting history. By taking audiences to the frontlines of this crisis in real time, the latest instalment of SBS’s award-winning series will capture a snapshot of the issue as it develops with a sense of urgency befitting the subject. The fourth season of Go Back To Where You Came From received a principal production investment from SBS in association with Screen Australia and has been financed with the assistance of Create NSW. • Meshel Laurie: The comedian and TV presenter is an active supporter of asylum seekers. Her Buddhist spiritualism is a motivator for her to give back to communities around the world. • Spida Everitt: The ex-AFL player believes refugees should only come in “the right way”, should work and offer something to Australia. Everitt holds the view that African gangs are a problem in Melbourne and worries for the safety of his daughters who live there. • Gretel Killeen: The writer believes Australia’s treatment of refugees is barbaric. Steve: The 41-year-old Adelaide local is a prison youth worker and anti-refugee provocateur, who thinks Australia’s stop the boats policy is effective. He says refugees in Australia are country shoppers, who head to Australia for economic reasons. • Gareth: The theatre student from Bathurst comes into the show with mixed views. While he believes indefinite detention is not humane, Gareth says we can’t just open the floodgates and we need to protect our borders. • Dannii: The 24-year-old from Townsville is a young conservative, who works at her local church and believes in protecting Australia’s cultural values. She thinks our current policies are spot on and shouldn’t be altered.